Author Bob Shaver is an old college climbing partner of local photographer Marc Dilley. 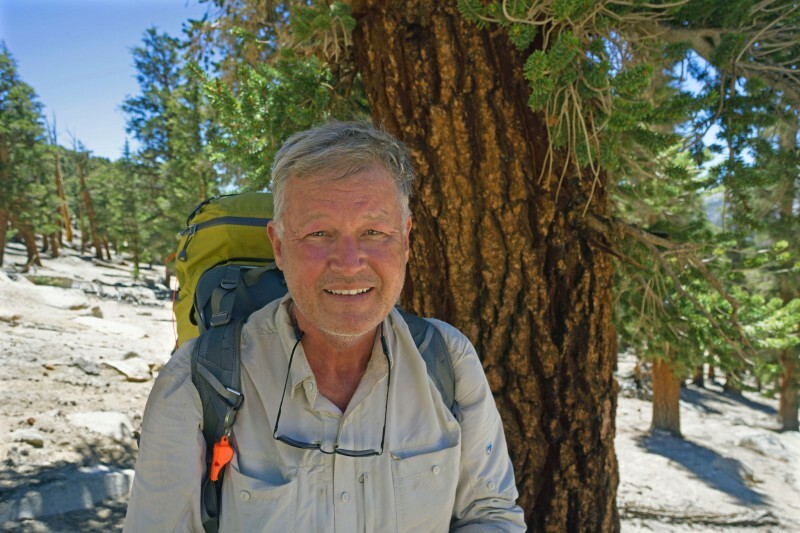 Bob has 50 years of experience hiking and climbing in the Sierra, including two completions of the John Muir Trail and ascents of more than 200 peaks. 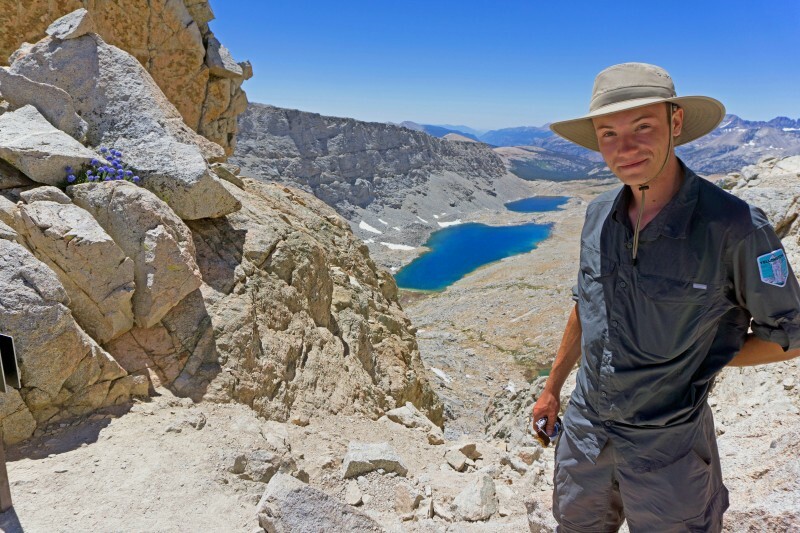 He is a Patent Attorney in Boise, ID where he cycles and climbs. Bob has formerly resided in Wenatchee and Chelan. 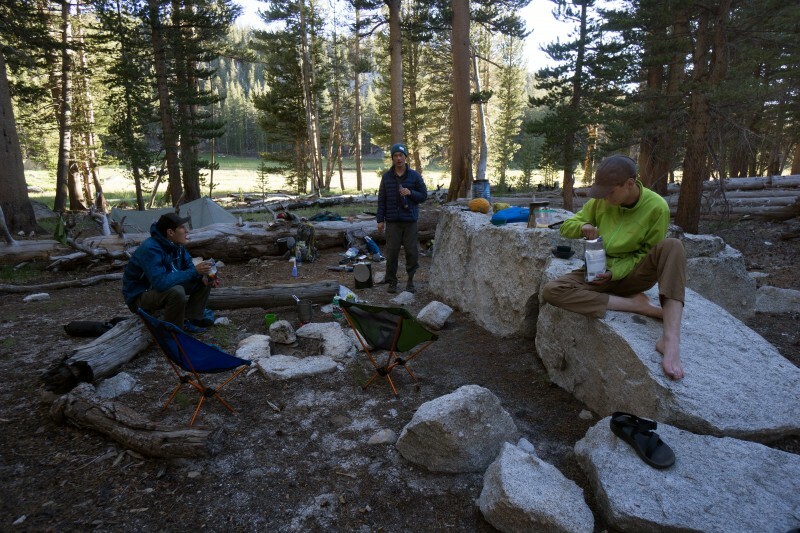 Day -1: We drove to Tuollumne Meadows and camped in the backpackers campground. 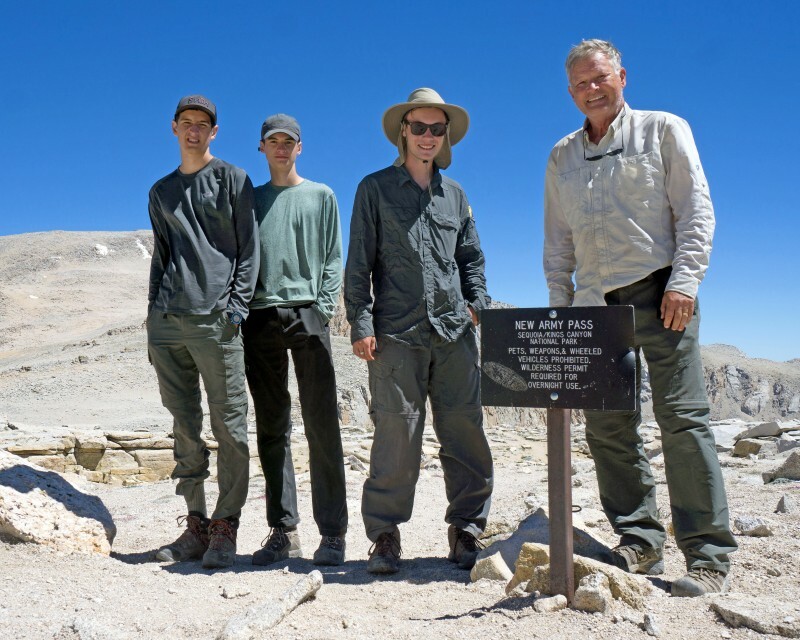 This was our first night sleeping at 10,000, and even though we didn’t do anything physical, we hoped just spending the night at that elevation would help acclimate us. It was pretty uneventful, camping wise. Day 0: We met our ride at the wilderness center, and left our car there. In the car we also left my SPOT meter, and Luke’s fishing license. Gigi Delong drove us from Tuollumne to Bishop, where I got a new cup, and then to Big Pine where we got a 2 person permit for me and Jim, and Luke and Ian got their 2 person permit, and we had lunch with Gigi. Gigi was from South Africa and had been in Bishop in the hanggliver scene for many years. She was into motorcycles, so she and Jim had something to talk about. Gigi drove us up the many big switchbacks to Cottonwood Campground at about 10,200’. We figured it would be good to get our second nights sleep at 10,000’, to help get acclimated. We’d start the hike in the morning and hike up to Long Lake at about 11,100’. Day 1: We started early, all four of us hiking together. Little did we know that we would rarely hike as a group the rest of the trip. Our group was me, 66, my son Jim, 20 years old, and our two neighbor youths, Luke 17 and Ian 15. Jim had been on numerous week long hikes and many weekend hikes. Luke and Ian had been on lots of backpacks with their family. 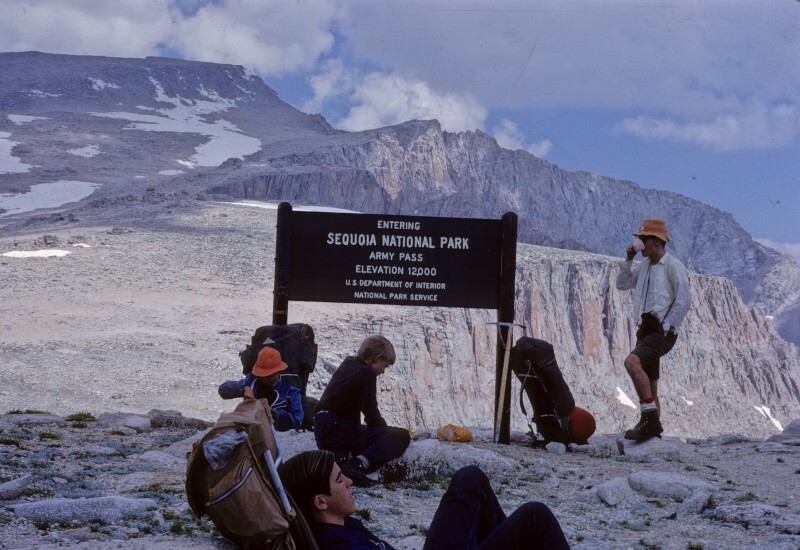 I had hiked the JMT in 1971, several section hikes in the late 60s, climbed some 200 peaks in the Sierra, did the Ptarmigan Traverse 3 times, climbed Rainier 6 times, Adams, Hood, St. Helen, participated in Mountain Rescue and Nordic Ski Patrol as well. 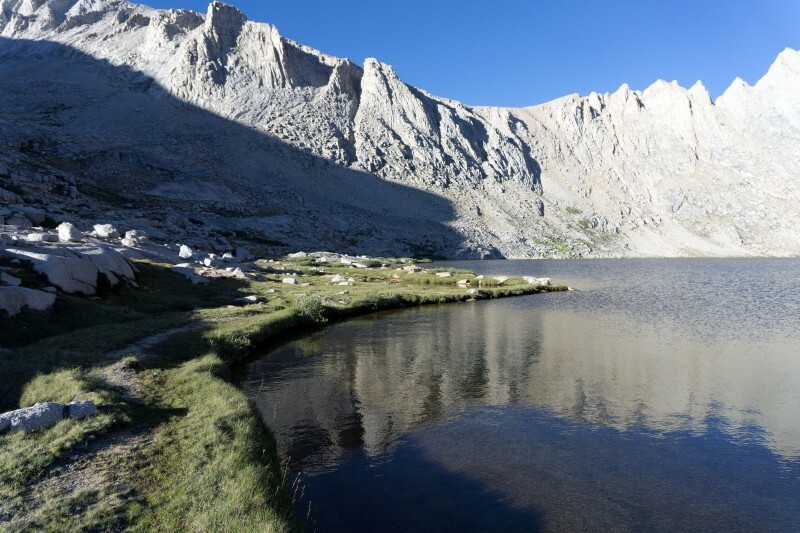 The first days hike was not a hard hike, gaining only 1000’ of elevation when we topped out at Lake 1 of the Cottonwood Lakes. I had been here twice before, and couldn’t help but think how the view of Langely had not changed, and the lake before us was the same. I think the log to our right had been there 45 years ago also. We knew we were not far from Long lake and we trudged onward another mile or so with very little elevation gain. We ate all our lunch food and the honey waffles were great. We finally got to Long Lake, and I was super exhausted. 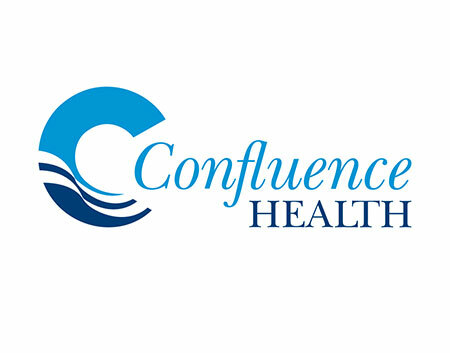 When I checked my blood sugar (I’m diabetic) at the camp we finally found, I was at 87 units. That is too low for me, and was part of why I was so exhausted. I was practically in a diabetic coma. We went around the lake clockwise, and found nice camping in some big rocks on the shore at the 3 o’clock position (where the outlet is at the 6 o’clock position). We got to camp at noon, had time for the boys to play some cards, and we rested up a bit in the sun. One of the life savers in our diet was to have a cup of Miso soup as soon as we got to camp, and we did it every day. Jim and I had a Pack-it Gourmet Big Un Burrito, our favorite meal, with 2 tortillas each. Jim and I could have eaten one whole pack each, or a dessert. Day 2: We had granola and milk, and I had 2 packs of Via coffee for breakfast. Jim had one Via. We were on the trail at 9 am, on top of New Army Pass at 11. It was about 2.5 miles to the pass. After a picture and a break, we headed down toward Soldier Lake and Rock Creek. Same location as picture taken in 1969 except different weather and different sign. Photo taken in 1969 at the same location as other picture with sign. Jim and I did some laundry in a stuff sack with water and soap. Then we set up the camera slider and took some videos alongside and in Rock Creek. There were a few mosquitoes, but very few. There had been very few mosquitoes all day, even though the hikers we met in Bridgeport and Mammoth had warned us of massive swarms of mosquitoes. They had been in the spot where we now were about 2 weeks earlier, and the mosquitoes were that much fewer in the two weeks. I was relieved that all of my systems were working ok: knees, hips and back. I had been afraid something would snap or pop, and incapacitate me. Luckily, my only issue was being tired at the end of the day. Day 3: Jim and I were up at 7, and packed up so we headed off without Luke and Ian. We told them we’d wait for them at the PCT junction, and we waited 1.5 hours for them there. We didn’t realize that this would be the pattern for most of the 22 day hike. 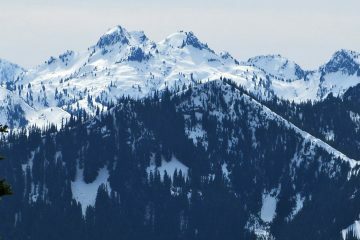 We hiked along the meadow at Rock Creek, and shortly started the uphill grind to Guyot Pass. We were planning to top off with water at Guyot Creek, near the top of the pass. When we got there it was almost dry, but we found a place where we could dip one cup of water at a time, to put in our gravity filter. 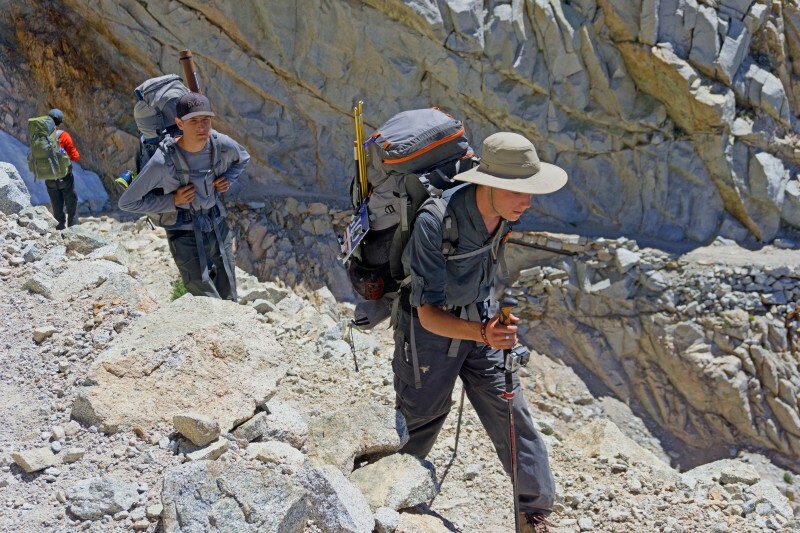 From Guyot Pass, Luke and Ian hiked ahead. The area around Guyot Pass was a strange place, with no bushes or grasses, and with big pine trees in white gravelly covering. It wasn’t soil, it was gravel. For lunch this day I had plenty: 1 salmon pack from dinner the night before, 1 tortilla, 2 cliff bars, pepperoni sticks, pistachio, Banana chips, and dried mango. Bob and the strange terrain of Guyot Flat in the background. We got in to camp at Crabtree Meadow at 2, so it was a pretty short day that we would have to make up for in mileage on a later day. The elevation gain was about 1765’. We had mac and cheese for dinner, preceded by Miso soup. I couldn’t eat my half of the mac and cheese, and Jim got extra or we gave some to the perpetually hungry Luke and Ian. There were a few mosquitoes at Crabtree, but they were not bad. Day 4: Jim got up a 4 am he took my camera and both of my hiking poles, so our Tarptent became a tarp laying over me. Luke and Ian accompanied him on his trip to the top of Mt. Whitney. My plan was to rest and recuperate from the effort of the past few days. I walked around the meadow and took pictures and set up the motor driven slider, using my cell phone as a time lapse camera. The boys got back about 2 pm, and we did a little video interview of how their day had gone. 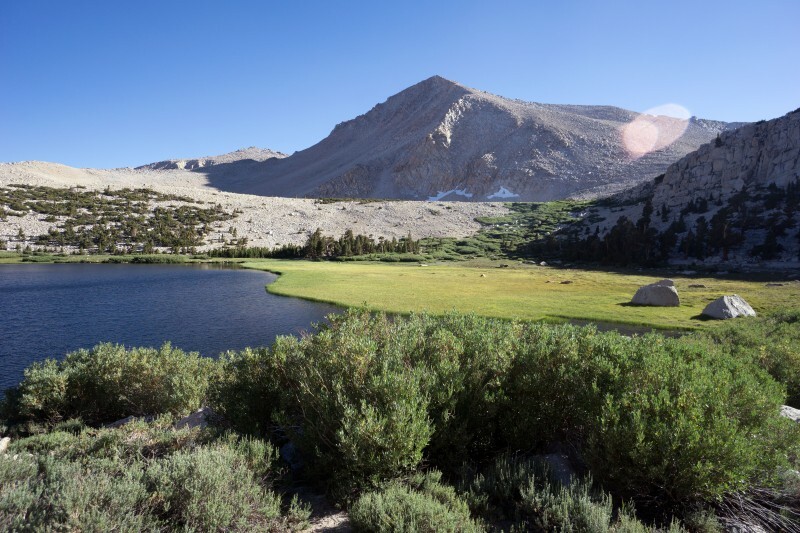 Day 5: From Crabtree Meadow we headed to Wallace Creek, 4.7 miles away and then left the JMT for a side trip to Wallace Lake. 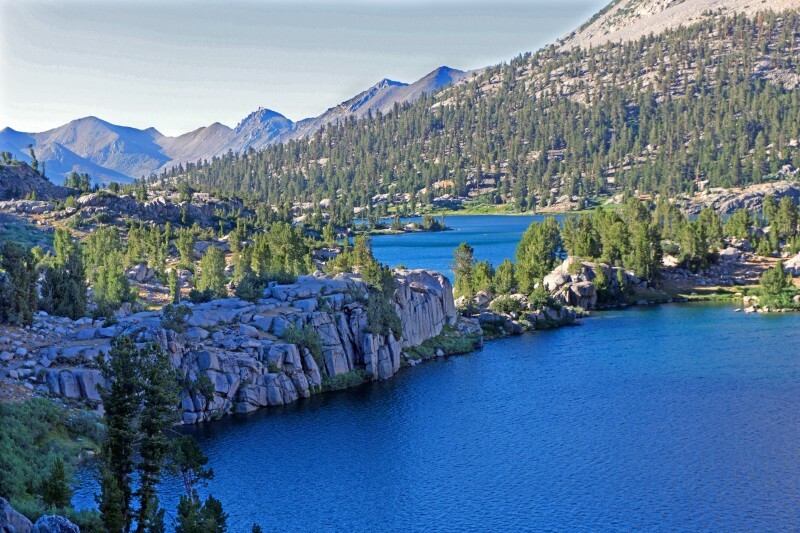 I had hiked in the area of Wales and Wallace Lake on the 1971 JMT, and I hoped we’d have time to visit Tulainyo Lake, but our meager mileage the 2nd day of the trip had used up the layover day I had planned. We hiked up Wallace Creek pretty much cross country and got to Wallace Lake after about 4 miles and 1200’ of elevation gain. The sun was incredibly bright at that elevation and all we could do was seek shade. We had left Crabtree Meadow at 8 am and got to Wallace Lake at 2 pm. Luke did a lot of fishing, caught at least one fair sized one, and Jim and I had pasta carbonara for dinner. My sunglasses came apart due to a lost screw in the frame, which I was able to reconnect using dental floss. 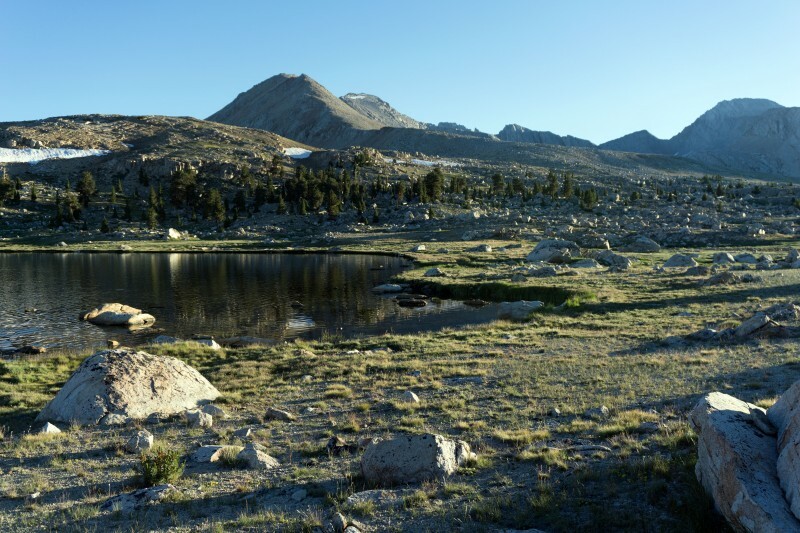 Day 6: We hiked down to the JMT from Wallace Lake, then headed toward Tyndall Creek. The Bighorn Plateau was otherworldly, and we got our last view of Whitney. At Tyndall Creek there were a lot of scout groups and we continued on. The map showed a lake to the left of the trail, about 400-500’ higher than the trail and .5 miles off the trail, so we headed there and had it all to ourselves. Jim and I had scalloped potatoes and bacon, which we ate sitting on our comfy chairs looking at an incredible view although pretty windy. We had hiked 8.5 miles and Jim developed his first blister. I didn’t have any foot issues the whole trip, but Luke had blisters almost from day 1, and Ian had foot issues also. They ended up wearing running shoes and carrying their boots for most of the trip. That night Jim and I decided not to put up the tent but instead used it as a ground cloth. There was no sign of rain, no mosquitoes, so why not? Jim on top of Forester Pass. _______, of California Alpine Guides, reached the top of Forester just after we did, and I was impressed that such a large group could all be in pretty good shape. After a bit of rest on the pass we headed down just as the CAG group arrived. We continued toward our goal of Vidette Meadow for a total mileage of 12.1 miles for the day. We were tired at Vidette Meadow. In fact, I was tired at the end of every day so I’ll quit saying I was tired. Day 8: Jim and I were up at 6 am, on the trail by 7:15 am. We headed out fast to try and intercept our horse packers who planned to meet us at Charlotte Lake. We polished off the 1200’ gain to the sandy clearing above Charlotte Lake. Jim waited there and I walked down to Charlotte Lake to make sure the horse packers hadn’t beaten us to the lake. Back at the trail intersection, we waited another hour and the horse packer showed up with our 4 plastic buckets of food and took our trash. Luke and Ian showed up in time to get their trash onto a mule saddlebag. There was only one problem: the deal had been for the packers to bring us a resupply of fuel, and they didn’t! We had 7 days to hike and no fuel!! Are you kidding me? The horse cowboy, Reeve, said another string would be heading up later that day, so Jim waited for the second string to show up which took at least another 2 hours. I went ahead, and started up Glen Pass. Early on I realized that I had left the camera tripod down with Jim’s pack and I waited for him to show up. He had found the tripod, and saved me the trip down to retrieve it. The second pack string didn’t have any fuel for us. Dang, we were screwed. We headed up Glen pass already tired, and got to Rae Lakes shortly before the shadow of the ridge to the west put our camp in shadow. Jim and I swam in the lake and washed clothes. I washed all my clothes so they were wet all night and part of the next day. Again we slept on top of the flattened tent and saw the stars.